As kaitiaki of the earth, we have a responsibility to focus our attention on the integrity of our planet’s ecosystems. These are essential for our survival. We must understand the responsibility that God has given to us. As inhabitants of God’s creation, it is our duty, whether rich or poor, to conserve it to the best of our ability. In gratitude to God for this wonder-filled world, we are called to to sustain an environment in which future generations can thrive. How we tend to our environment is a measurement of our stewardship and devotion to God. Today, the challenge is great as we face a multitude of issues that jeopardise our Earth’s ecological systems including: pollution, climate change, depletion of natural resources, loss of biodiversity and global inequality. The United Nations Sustainable Development Goal 7 (SDG) ) is pursuing a global mission to grant access to affordable and clean energy around the world. This UN Development Programme supports governments to transform their renewable energy markets. It aims to identify and implement policies that catalyse investment in renewable energy technologies. All renewable energy solutions supported by Goal 7 focus on integrated approaches that address climate change and assist local development. 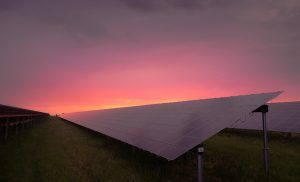 Renewable energy is a core element in achieving climate targets, reducing disaster risks (associated with rising temperatures), and “building back better” following a disaster event. It is imperative that we take steps to prevent our home from perishing. Although it is a problem that is global in scale, even small acts of empowerment can have big results. Our actions can help to limit further damage. We, too, can support the United Nations in their wise mission to ensure universal access to affordable, reliable and modern energy services. Tui Motu Issue 231, October 2018. Used with permission. Photo by Karsten Würth (@inf1783) on Unsplash. Used with permission.